9 Attributes that help you deal with stress and difficult life events. Each person has their own ‘toolkit’ of psychological qualities. They guide how life is lived, the choices made, inclinations and preferences, connections with other people and performance at work. Among them are characteristics like calmness, independence, diligence, friendliness, creativity, courage and so on. This involves the ability to see things as they are rather than as you have been told they are or wish them to be. You have no illusions about the situation you are in. Your decisions and priorities are based on what seems possible at the time. If other people are involved, you assess their capabilities and attempt to place them accordingly. You are aware of your own strengths and limitations. It is the opposite to rigidity and holding on (too) tightly to ideas, expectations and your own established way even if it has become less workable than in the past. If you are mentally flexible, you seek more information, modify your approach, try something else and review your attitude. When encountering problems, you look for options and solutions rather than being locked in to only one way. Life does not come with a roadmap or manual – although sometimes it would be helpful to have one! But while perhaps desirable, certainty is really a fickle companion. Oftentimes things turn out differently to what was expected or hoped for: plans need adjusting or require detours, other people do not fulfil their part as anticipated and go their own way, external conditions change, You change! It involves getting out of your comfort zone into unknown territory. This can be quite a rocky process. Disturbing emotions – fears, confusion, feeling at a loss, etc. – are bound to pop up but should not deter you. Watch out for automatic negative self-talk and choose constructive thoughts. If you persist and proceed despite your inner resistance you will reap the rewards: progress instead of stagnation, options opening up rather than limitations, an experience of strength rather than avoidance or safe routines. Half-hearted attempts rarely get you where you want to go. You understand that roadblocks and hiccups are normal and are not deterred by them. You do not give up prematurely but know when it is wise to cut your losses. But instead of retreating you might re-focus and modify your approach to get at least some of what you aim for. The saying, ‘When the going gets tough, the tough get (keep) going’, applies to this characteristic. Many things need time to come to fruition or cannot be forced into faster development. But even if events seem to take forever – or are not progressing at the speed you desire – you hang in there and don’t use that as an excuse to withdraw. There is always something else you can do while a project is unfolding in its own time. Accept Mistakes, Failures and Dead Ends. Life is full of moments that trip us up. But you are not easily bowled over. You shrug them off or use hiccups for learning about yourself. And you accept that being human means you are not – and don’t have to be – perfect. You know you are not always your best. And you are okay with that. If things go wrong or you are facing major challenges, you don’t give up. You pick up the pieces and move forward. You know that whatever happens there is always something positive to work with. You are able to pick yourself up and keep going, even if it is in a different direction than before. You know that to function well you need to look after yourself mentally, emotionally and physically. This includes sleep, rest and real food, but it also means making time for yourself, to re-charge your batteries and have fun. As much as you can! Do you have any of the psychological tools above? Are there some you need to develop or strengthen? 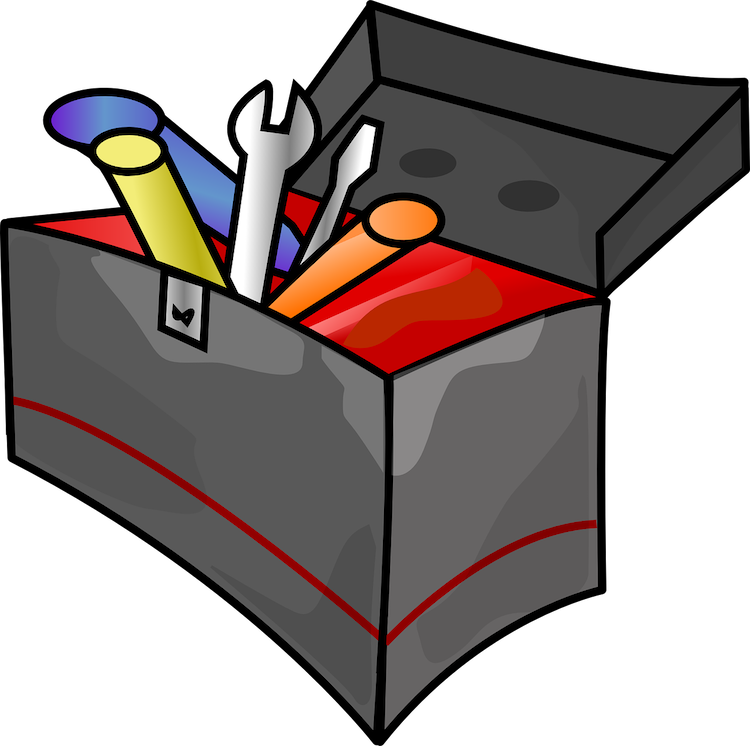 Make sure you upgrade your toolbox to be prepared for life’s knocks!